This t-shirt is the first of hopefully many apparel items to come. This is more than just a t-shirt, though, it’s a symbol of American prosperity. 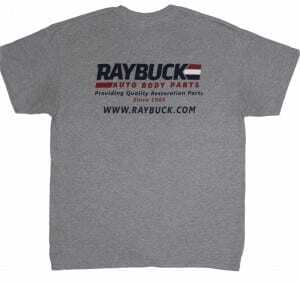 Yes, you will receive a premium Raybuck Auto Body Parts t-shirt, but by purchasing this shirt you’re helping support American jobs. 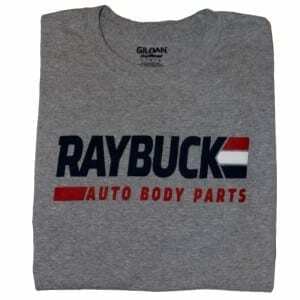 I say jobs, but here at Raybuck we value our employees and try to provide careers, not just jobs. We want our employees to grow with the company and be here for the long haul. As part of these efforts, we offer benefits that a lot of other retail companies do not offer to ALL of their employees, such as paid time off and a pension plan. With the ever-rising cost of benefits, though, it gets harder and harder to cover the administrative cost of these benefits so that our employees’ paychecks aren’t affected. To help offset some of these costs, we thought we’d launch an apparel line and have proceeds go towards the employee benefit fund. 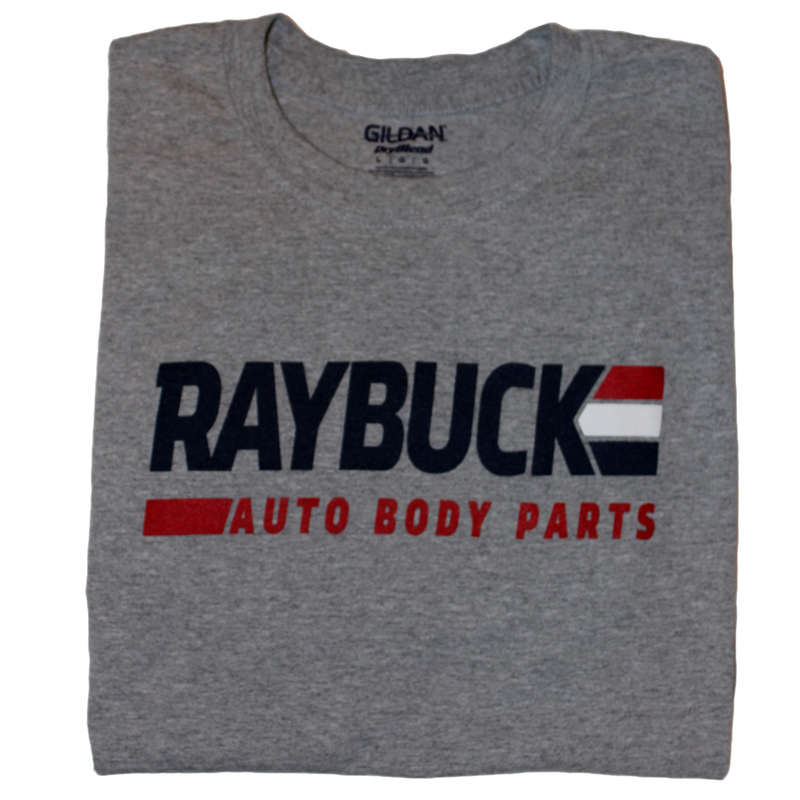 So, whenever you purchase any apparel product from Raybuck, you’re helping us continue to provide better benefits to our employees. This is the first design that we are launching, and we’re looking for more. If you have a great idea for a new graphic design, please send it to service@raybuck.com. If your design is chosen, we’ll send you a free shirt with the new design and will add you to our contributors list that will be added to this page. We’ll also send you a coupon code to use on your next order.